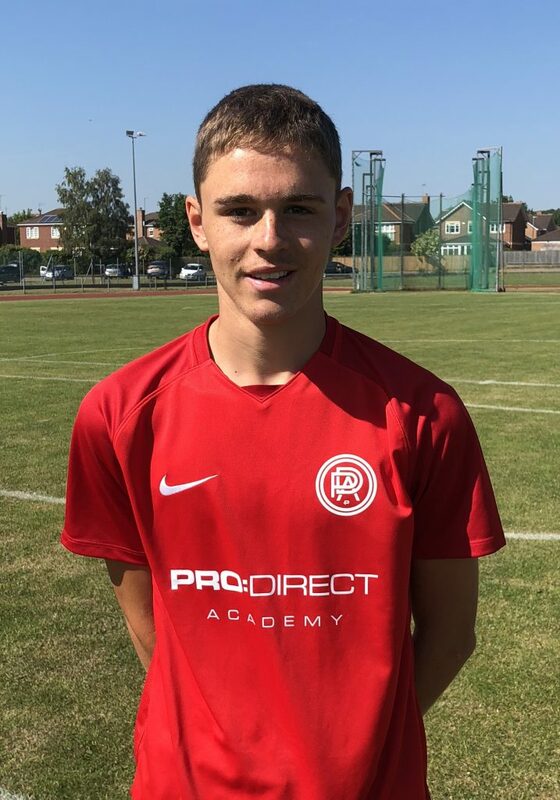 South Devon College is wishing the very best of luck to current Level 2 Sports Coaching and Fitness student Louie Slough for reaching the English Schools Football Association (ESFA) Under 18s National Football trials. Louie, 17 from Paignton, will be part of the South West team heading to Stafford near Birmingham for the final trial stage on Saturday 1st December. Here, Louie will play his favourite position of centre back for the South West team, competing against the nation’s highest level of aspiring junior footballers. Representing the College, Louie has continued his journey of football progression since joining the Pro:Direct Devon Academy last year. After impressing coaches from the Devon County FA, Louie recently travelled to the South West Trials hosted by Fry Club Juniors FC based in Bristol. On Saturday Louie will have the chance to once again showcase his skills with the ultimate aim to win a place on the ‘England Schoolboys’ ESFA team. Founded in 1904, the ESFA is the official governing body of School’s Football in England. The association runs national competitions from Under 11 to Under 19 age groups, providing opportunities for young people to gain recognition at national levels. A determined Louie said, “I’m very excited for the finals trials but also aware I’ll be competing against some top players. Since starting at the College I’ve really enjoyed my studies. We train everyday out on the pitch and play in our league each Wednesday against other college teams across the south west. It’s a good mixture of physical activity and also theory in class. We’ve just had a module on Futsal, a sport I’d never heard of before! I’ve learnt so much more about the coaching side of football from our Coach Chris Todd. It’s a big plus that he played centre back, the same position as me”. The Pro:Direct Academy Devon is dedicated to developing extraordinary players and people both on and off the pitch with the coaching team comprising industry professionals and pro players. Programmes are devised by UEFA and FA licensed coaches who work to exacting standards to inspire confidence and technical skills required for players to develop professionally and academically. The education programme is specifically designed for players to play, compete and study full-time at South Devon College; which together will improve their employability skills. The provision caters for students from Level 1 up to Level 6 across a range of subjects including Sports Development, Coaching, Fitness and Exercise Science. 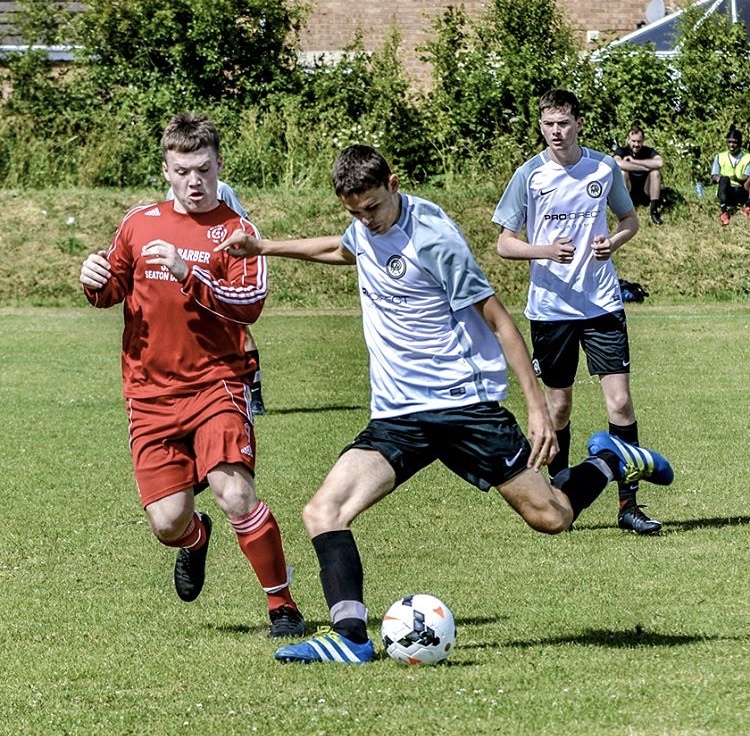 South Devon College Lead Football Coach, Sport, Fitness & Adventure Chris Todd adds, “Louie is just one of the many young sporting talents emerging out of the Pro:Direct Academy and wider College provision. From day one he’s shown the upmost dedication and desire to succeed both on and off the pitch, understanding what it takes to forge a successful future career in football and coaching. We wish him all the best of luck representing the College at the trials”.